**Contest is over** The winner is Jared. Congratulations! It's summertime and this means ants. I think that every time it rains, I find ants outside and sometimes inside the house. Living in the south it seems like there is no getting rid of them! 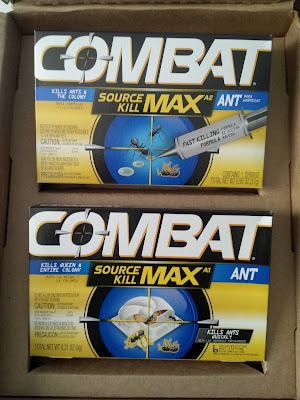 I tried out the Combat Source Kill Max Ant Gel and Baits. My husband got excited when he got to try out the syringe with the ant killing gel in it. He squeezed some into a crack where some ants made there way into one of our windows and within an hour, all signs of ants were gone. It has been a week and it appears they will not be coming back! I sent the ant baits over to my mother-in-law since she was complaining of ants making it into her kitchen area. Since she just put them in place yesterday, she will still have to give it a chance to work and hopefully get rid of those pesky ants for good. 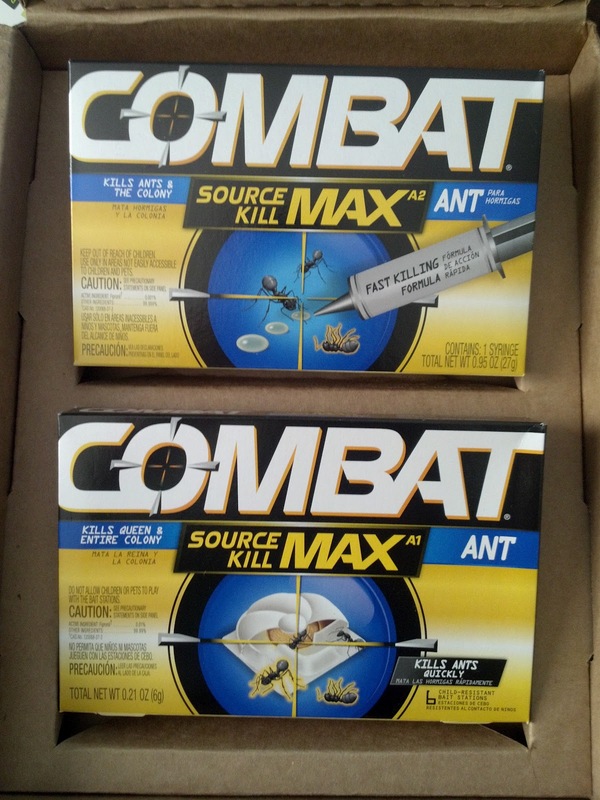 Combat is providing one Momfiles reader a Source Kill Max Ant Killing Kit. Entering is easy in the Rafflecopter widget. Giveaway is open US Residents only and will end on Sept 1. Please leave your email address if you do not have a Blogger Profile. All entries will be verified so please follow rules or your entries will be disqualified. We have a problem with ants too! Would love to give this stuff a try!